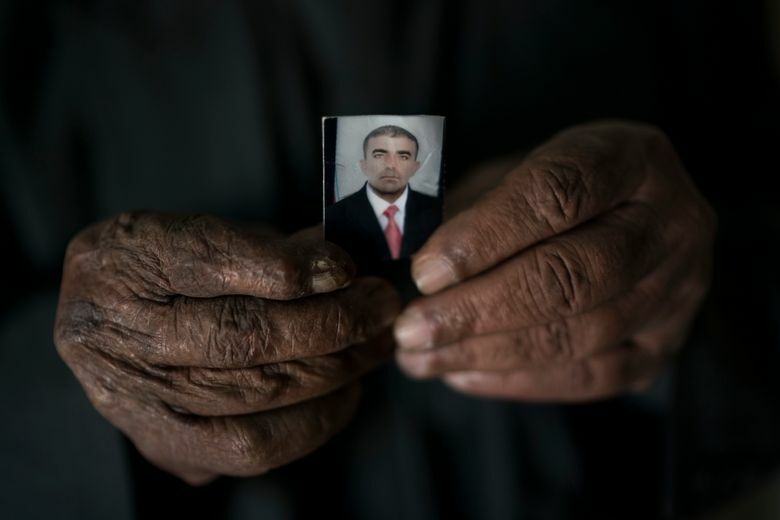 MOSUL, Iraq (AP) — In 2014, Abdulrahman Saad was taken from his home in Mosul by Islamic State fighters, leaving his family in limbo. They asked IS security offices and judges: Where is our husband and father? No answer. When the operation to retake Mosul began, they heard he was being held in the western part of the city, with hundreds of other prisoners. But when the area was liberated, they found no trace of Saad, the 59-year-old owner of a wholesale food store. “Life without my father is difficult,” says his son, Rami. Without him, the Saads struggle to get by, and his wife pines for her spouse. In their misery, they have company. 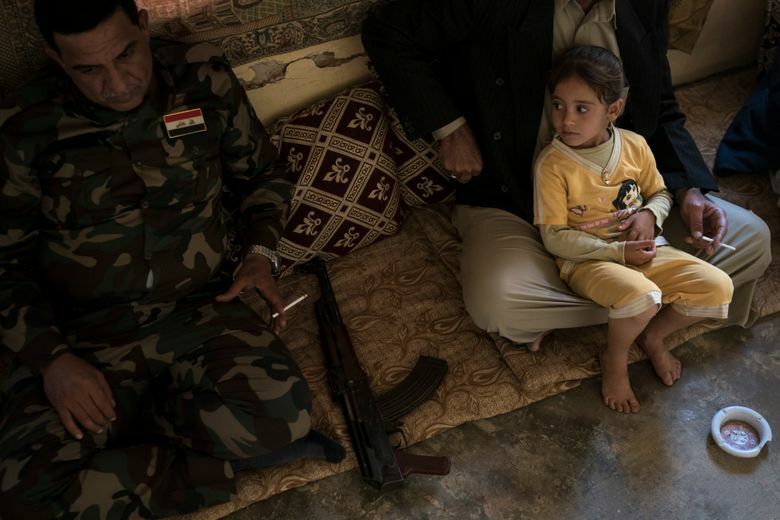 Since Mosul was declared liberated in July, residents have submitted more than 3,000 missing-persons reports to Nineveh’s provincial council, according to council member Ali Khoudier. Most of them are men or teenage boys. Some were arrested by IS during the group’s extremist rule; others were detained by Iraqi forces on suspicion of extremist ties. 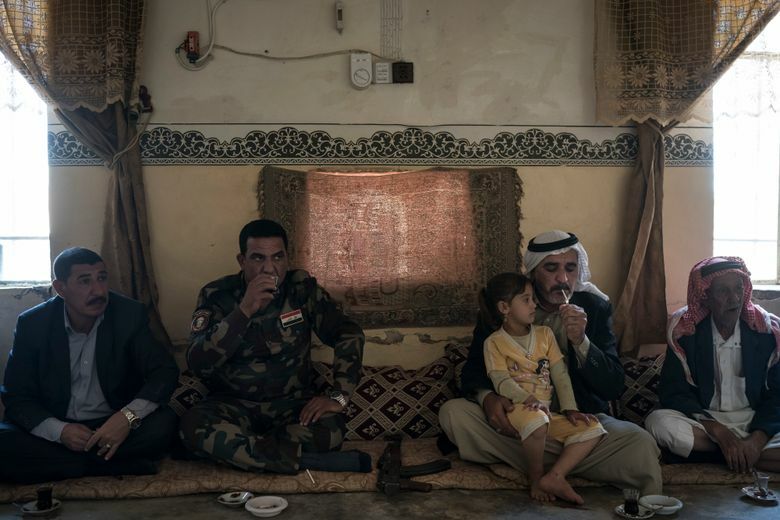 Regardless, Iraqi government bureaucracy, inefficiency and neglect have left thousands of families across Iraq hanging as the country’s leadership celebrates the defeat of IS. In a small garden outside of a Mosul courthouse, dozens wait to hear if investigators have news of their missing relatives. They cling to thick files of papers: identity documents, official forms, glossy family photos and “missing person” advertisements from a local paper. It is unlikely they will hear good news. “It will be years before these people know what exactly happened to their relatives,” said an investigator, as anxious relatives tapped on the windows behind his desk and hovered at his office door. The investigator, who spoke on condition of anonymity, said the Iraqi government doesn’t have enough forensic experts to exhume the dozens of mass graves discovered as territory has been retaken from IS. And the country’s judicial system isn’t equipped to efficiently process the thousands of detainees scooped up by security forces. Some 20,000 people are being held at detention centers across Iraq on suspicion of ties to IS, according to a report from Human Rights Watch this month. In Anbar province, where victory was declared in the cities of Ramadi and Fallujah more than a year ago, more than 2,900 people remain missing, according to Mohammed Karbouli, a member of Iraq’s parliamentary committee on defense and security from Anbar. He said those missing from Anbar are becoming a symbol of the lack of trust between Anbar’s mostly Sunni residents and the Shiite-dominated central government in Baghdad. 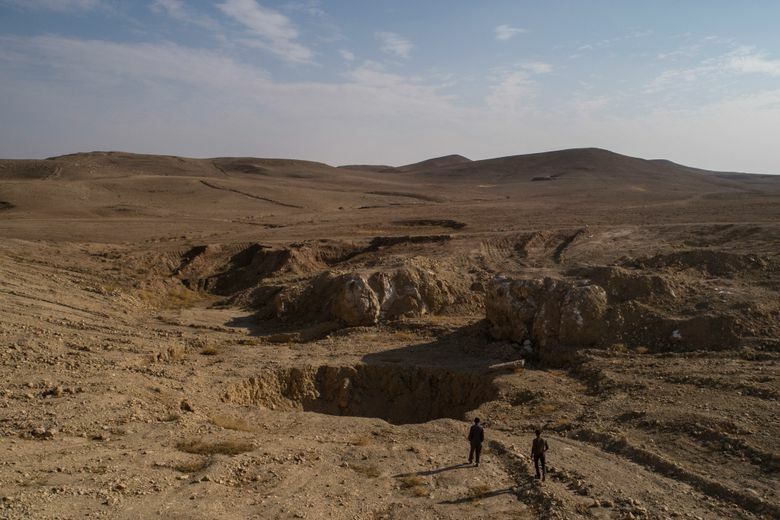 Just south of Mosul, an unthinkable number of Iraqis are believed to be buried in a natural sinkhole that became one of the Islamic State group’s most infamous mass graves. Some Iraqi officials estimate as many as 4,000 people were tossed into the cavernous, natural crevasse in the barren desert on the road linking Mosul to Baghdad— some already dead, others still living and buried alive. An AP investigation has found at least 133 mass graves left behind by the defeated extremists, and only a handful have been exhumed. 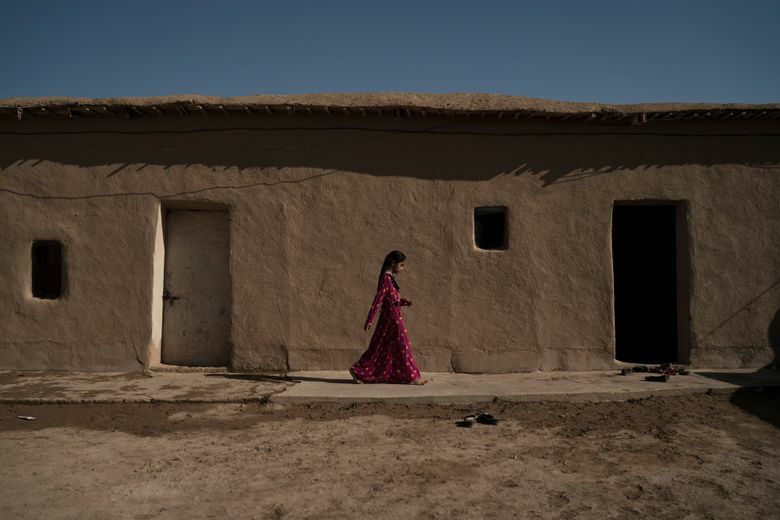 Many of the missing — especially the thousands of Yazidis unaccounted for since Islamic State fighters slaughtered and enslaved the minority — may ultimately be buried there. Estimates total between 11,000 and 13,000 bodies in the graves, according to the AP tally. But not all of the missing were spirited away by the Islamic State. Some families in and around Mosul say their relatives were taken by unidentified gunmen after IS was defeated. “It was the middle of the day, 3:30 in the afternoon. A silver pickup truck drove into the village and took my brother,” Elias Ahmed explained as he walked along the dusty main road leading to his home in the sprawling Bijwaniya agricultural village. Ghazwan Ahmed was taken along with four other young men in August. They have not been seen since. “The men who took him didn’t even identify themselves, they just said they worked in intelligence,” he explained. Elias Ahmed spent weeks shuttling between the different headquarters buildings of Iraq’s disparate security services in and around Mosul. The federal police, Sunni tribal paramilitary fighters, local policemen and the Iraqi army all control different sections of Mosul and the surrounding Nineveh countryside. Each group maintains its own records of detentions and arrests. 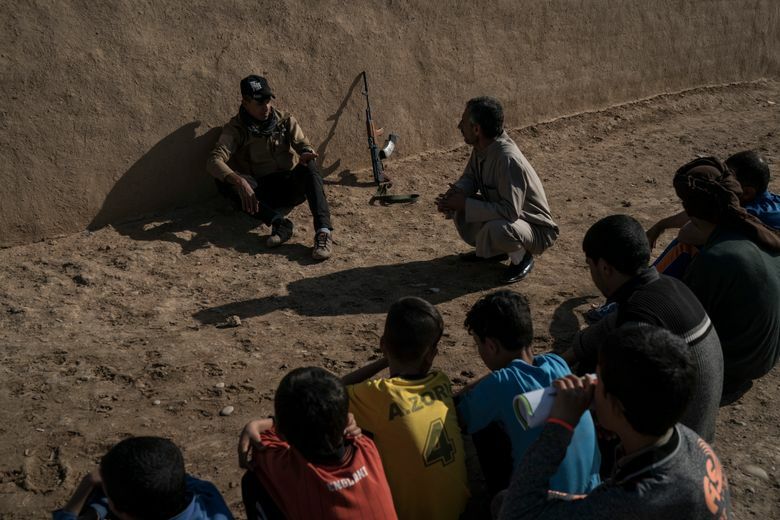 Ahmed went looking for answers at a court north of Mosul in the small, historically Christian town of Tel Keif, established especially to process those charged with terrorism. Each morning, family members gather outside its gates in hope of tracking down missing relatives. Inside, judges process close to 100 cases a day. Many trials last no longer than 30 minutes. Yasser Hafahdy, an attorney from Mosul working at the court, defended the practice of arresting people without informing their families where they would be held or the charges against them. He said the court was overwhelmed by the sheer number of IS suspects arrested and could not spare the time or resources to reach out to families. Since the court opened its doors in March, about a dozen judges have processed more than 15,000 cases. More than 60 percent have been found guilty, Hafahdy estimated. “What we need is a Judge Dredd, you know, Sylvester Stallone,” Hafahdy said, referring to a 1995 dystopian action film in which a traditional justice system is replaced by armed judges who patrol city streets acting as police, judge, jury and executioner. At a nearby detention center, hundreds of men sat in cramped rooms, and dozens of women and child detainees shuffled between a windowless room and an open courtyard. The Iraqi officer, who spoke on condition that he was only identified by his rank because he was not authorized to talk to journalists, said that during the Mosul operation hundreds of people passed through his detention center on their way to Baghdad for trials. During the height of the fighting, the small rooms used as makeshift cells were packed with prisoners. “We know that this is a violation of human rights,” he said. The squalid conditions were due to the backlog of cases in Baghdad, he said, and families were unable to track down arrested relatives until the detainees were processed in the capital. Rami Saad continues to look. The search has taken him to government detention centers and hospitals in and around Mosul and lawyers’ offices in Baghdad. Rami traveled to the Health Ministry’s forensic department in Mosul to look over lists of people confirmed killed by IS. If Abdulrahman Saad’s death could be established, at least the wife would receive his pension. 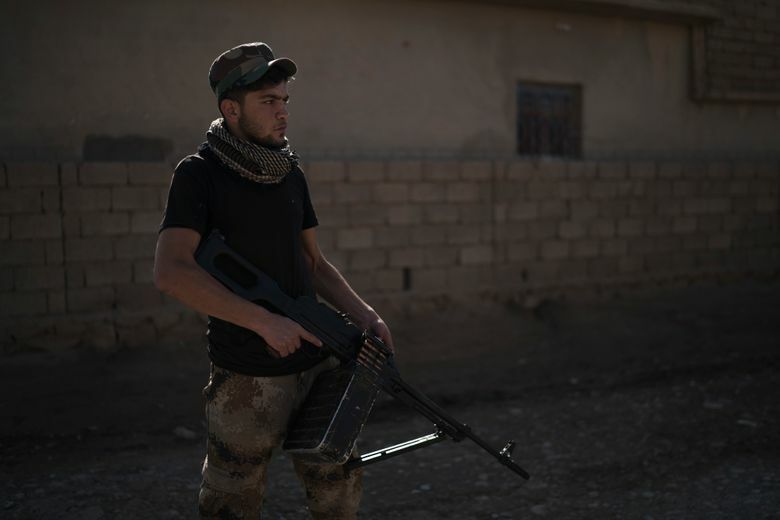 Associated Press writers Qassim Abdul-Zahra and Salar Salim in Mosul, Muhanad al-Saleh in Baghdad and Lori Hinnant in Paris contributed to this report.